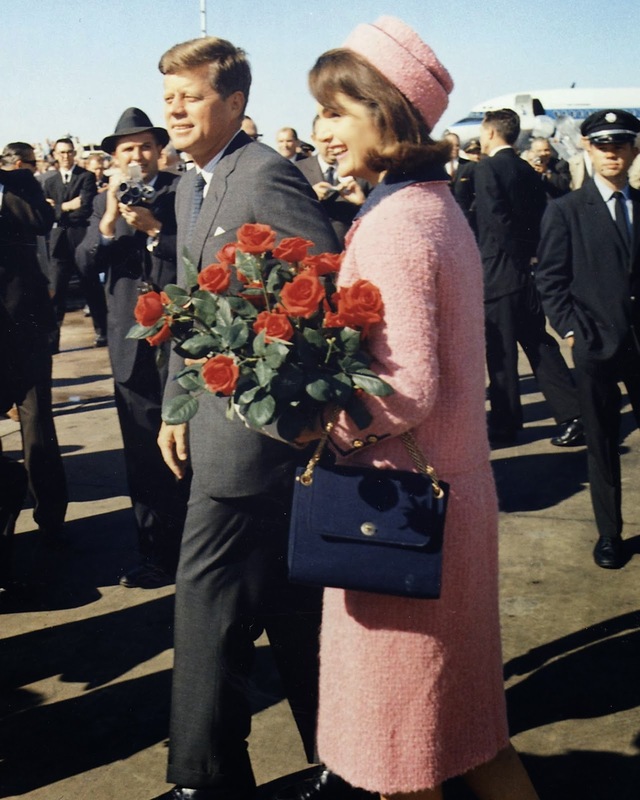 Wearing the bloodstained pink suit that has become one of the artifacts of Nov. 22, 1963, Ms. Kennedy arrived at Andrews Air Force Base and was escorted by her brother-in-law Robert F. Kennedy. 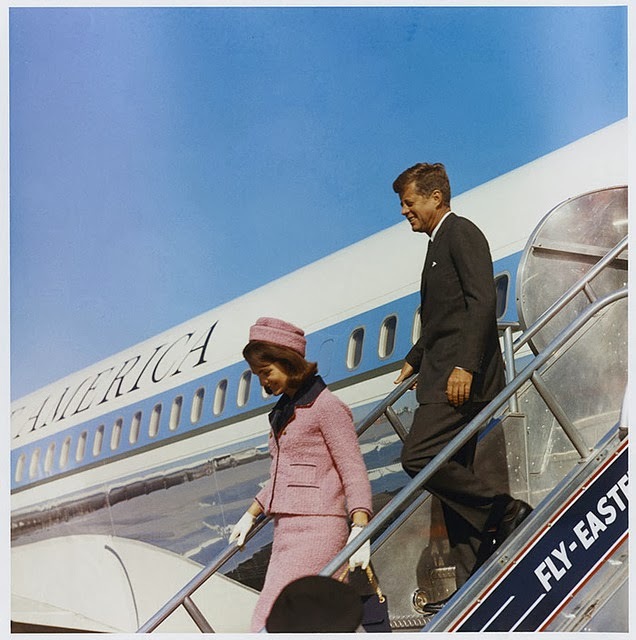 The National Archives keep the 'bloodstained' suit " OUT OF PUBLIC VIEW "
Ms. Kennedy wore the (Chanel knock off) pink suit at least six other times, including in 1962 to greet the prime minister of Algeria. But for the half century since John F. Kennedy’s assassination in Dallas on Nov. 22, 1963, the most famous artifact from that day, one of the most iconic articles of clothing ever worn, has been seen by almost no one. 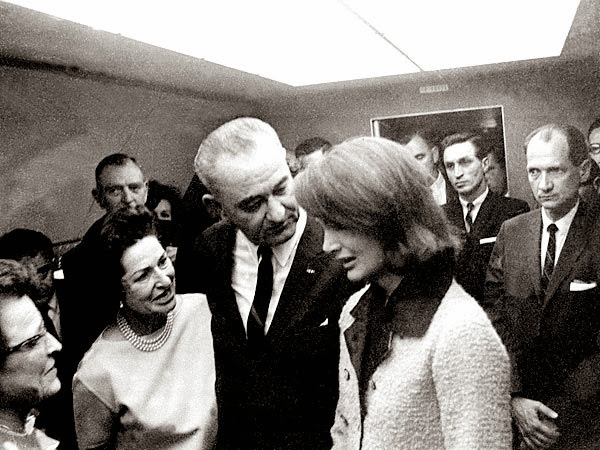 Now preserved by the National Archives in a climate-controlled vault outside of Washington, it is subject to Kennedy family restrictions that it not be seen for almost a century more. 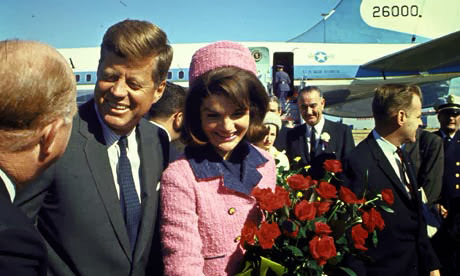 That Mrs. Kennedy is so closely linked to an item of clothing is fitting. In nearly three years as first lady, she had gained universal celebrity for her youthful style. 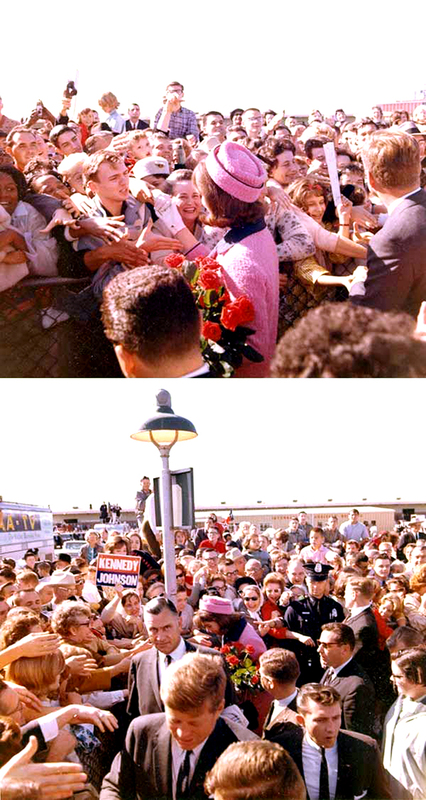 Politically, it meant huge crowds whenever she accompanied the president. But for Mrs. Kennedy, who felt vulnerable, fashion gave her a sense of separation from the public’s gaze. It was armor. Now preserved in its vault, the pink suit and its accessories, still stained, the stockings blood-powdered and folded in a white towel, remain essentially unchanged from the day of the assassination. Only the outfit’s matching pillbox hat and white kid gloves are missing, lost in the chaos of that day. 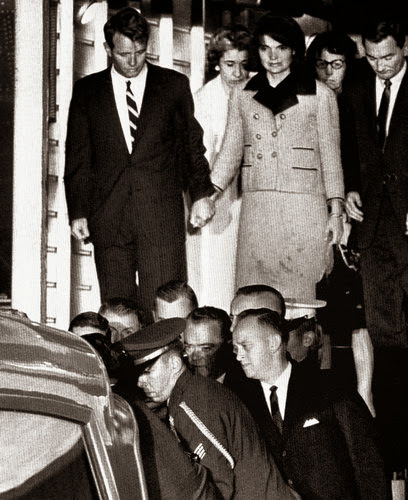 WAS THE JFK ASSASSINATION FAKE? I know - The hat was taken by the mafia, with the help of the Cubans and the CIA, all under the direction of LBJ.